Beware - Are they really Authorized or Approved? The top luxury watch brands, such as Rolex, Patek, Cartier and others, have rigorous programs and requirements for watchmakers to be Authorized, Approved or Certified. However there are watch repairmen that do not have the proper certifications, or brand approval. Without it they will not be able to purchase and use genuine manufacturer parts. I am sure you would not put a Kia part in your Mercedes, so be careful of who you let work on your watch. Be sure you are working with an approved repairman, here is what you need to ask to spot an un-approved or un-authorized repair shop. Do you purchase parts directly from the Brand? Do you use only genuine parts? Do you have a purchasing account with the Brand that is in good standing? Do you have access to all of the Brands technical documentation and training? 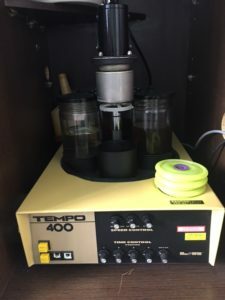 Do you purchase the equipment that the Brand requires you to use and is your equipment up to date? We can answer yes to all of the above. These are critical questions to have answered prior to entrusting your watch to anyone. I have a long standing relationship with the manufactures I service and repair, I have parts accounts and I purchase the brand specific equipment. 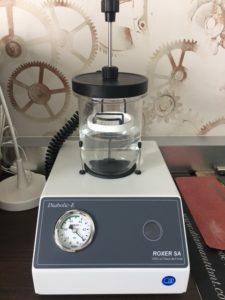 With me you know you will get the best possible service, manufacturer genuine parts and tested with manufacturer equipment so your watch is as good as new. 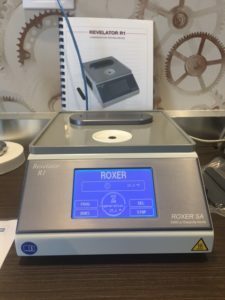 Roxer R1 this is used for revealing condensation with a hot test and then cold test. Rolex and Omega Factory recommended. Get a Free No-Obligation estimate for your watch service or repair. We provide fully insured shipping with Fed Ex, all you have to do is drop it off at a Fed Ex location. 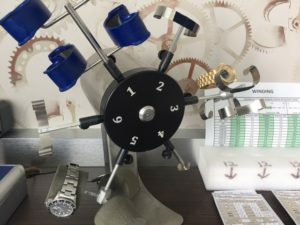 At Luxury Watch Service, our WOSTEP Certified Watchmaker will service and repair your Rolex, Patek, Cartier, and other luxury watches using only genuine parts. 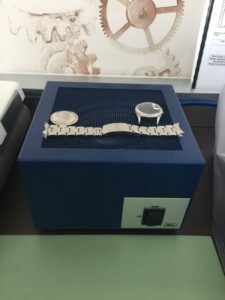 Luxury Watch Service was founded by Joseph Roth, a Swiss-trained Master Watchmaker who has earned both the internationally-recognized WOSTEP Certificate and a Technical Certificate and is a member of the American Watchmakers-Clockmakers Institute. We believe it is important to hear what our customers have to say. Who better to explain our attention to detail, our professionalism, and our ability than those just like you who have used, and continue to use, our services. “Not only does my watch look like new, it also is more accurate than it has been in years. The service was worth every dollar. We will be sending my husband’s Rolex soon as well, and I will suggest you to anyone with a Rolex that needs attention. Thank you for the precise description of what was needed in advance of the repairs and the speed of your service. I have a long relationship with the manufactures I service and repair. Joseph Roth founded Luxury Watch Service and is based in Miami Florida. Joseph has been servicing luxury watches for 30 years. All the parts used are factory certified parts. All the equipment used is swiss made factory certified equipment. 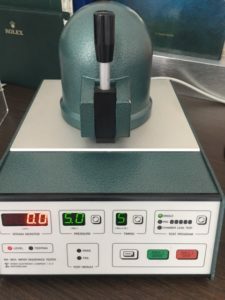 Joseph has the highest level or technical expertise as he holds a WOSTEP certificate and is a member of the American Watchmakers-Clockmakers Institute. With Joseph you know the parts are genuine, the equipment is certified, and his experience is second to none. 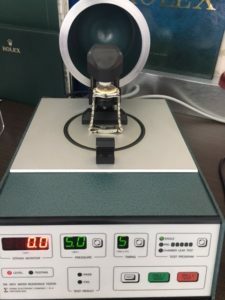 I have been repairing luxury watches, including Rolex, for over 30 years. I am an approved authorized service provider for all the brands we service. We use only brand-specific tools and equipment. Equipment is replaced regularly and can cost up to $10,000 per piece of equipment. We also only use genuine parts specific to your watch. We follow the technical documentation and guidelines provided by each brand. I look forward to speaking with you and serving you to keep your luxury timepiece in perfect condition.